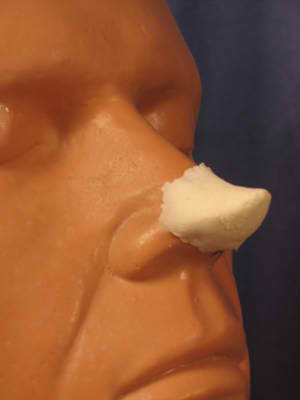 Apply this foam latex nose to create a great looking elf. Our elf nose is made of foam latex and looks more realistic than other slip cast noses. Great for Santa’s helpers. Check out our pointed ears, too. Want the perfect Santa look? See our Santa nose and cheeks. Tip: You can reuse the nose by carefully removing it with 99% alcohol and powdering it before storing it in a plastic bag.